MEET WINLOSS AND NOKK — THE GALAXY’S FOREMOST MONSTER HUNTERS! One’s a cyborg with a bad attitude, the other’s a cold-blooded reptile. They’re happily married. They’ve been hired by a mysterious contact to bag an ultra-deadly monster from the heart of an ancient temple. N.B. 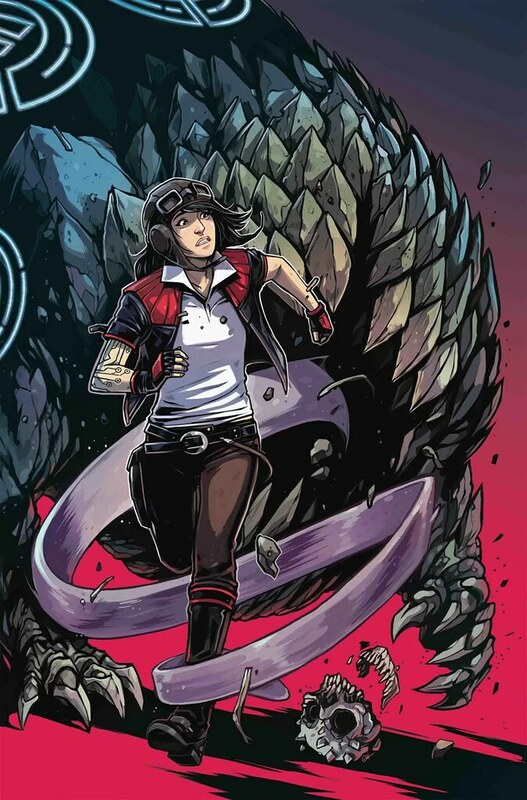 : For “mysterious contact” read DOCTOR APHRA, who — and this will shock you — is definitely up to something. N.B. : For “happily married” read THIS IS GOING TO GET MESSY. 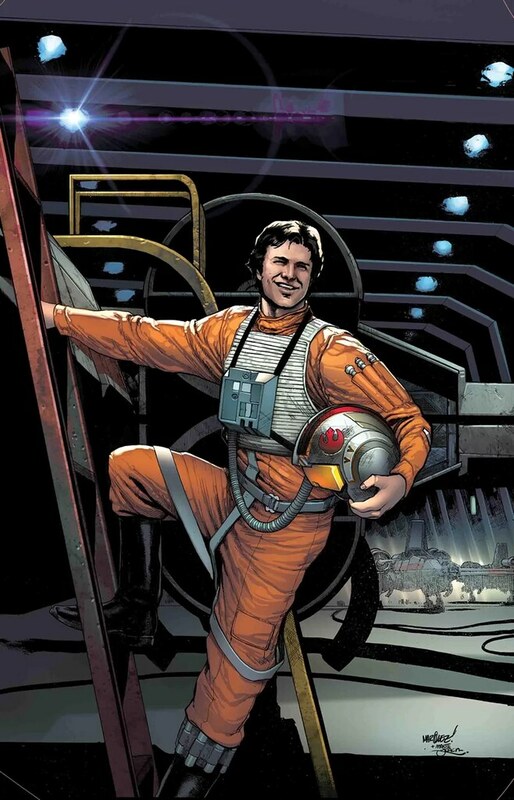 “HOPE DIES,” PART 4, HAN SOLO…admiral? PRINCESS LEIA leads a squad to try and recover the secret that can save the rebel fleet…Unfortunately, it’s aboard the EXECUTOR. Latest Databurst From the 501st covering 501st Legion events around the world from September 5 to 11th. As always, be sure to mark your calendars and support your local garrisons. 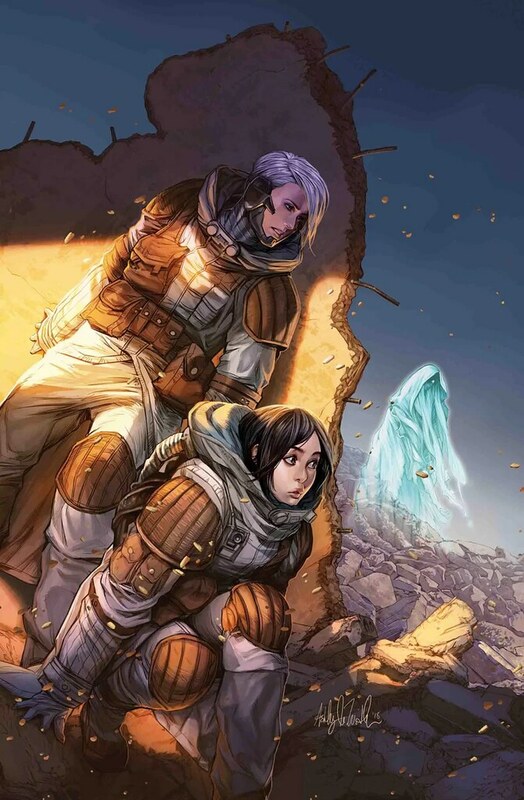 Alpine Garrison will be in Salt Lake City, UT for FanX from September 6 to 8th. Danish Garrison will be in Viborg, Denmark for Houlkærskolens SFO Løb from 4:00 to 8:00 PM. UK Garrison will be in Oxford for the City of Birmingham Orchestra Star Wars Concert from 6:30 to 10:00 PM. Badlands Garrison will be in Sexsmith, AB for Water Balloon Mania. Carolina Garrison will be in Rocky Mount, NC for Star Wars Trivia at Station Square from 6:00 to 10:00 PM. Central California Garrison will be in Sacramento, CA for Movies in the Park “Star Wars: The Last Jedi” from 7:30 to 9:30 PM. Cloud City Garrison will be in Portland, OR for Rose City Comic Con from September 7 to 8th, and in Portland, OR for the Star Wars Oregon Meet and Greet at Stark Street Pizza Company from 1:00 to 3:00 PM. Florida Garrison will be in Saint Augustine, FL for Ancient City Con 2018 from September 7 to 9th. Midsouth Garrison will be at the ECHO Conference at the Tennessee Aquarium from September 7 to 8th. Oklahoma Garrison will be in Tulsa, OK for Wizard World from September 7 to 9th. Polish Garrison will be in Lodz, Poland for Kapitularz, and in Gizycko for Festiwal Fantastyki Twierdza. UK Garrison will be in Woking for the City of Birmingham Orchestra Star Wars Concert from 6:30 to 10:00 PM.